SHIMMER YOUR WAY INTO THE NEW YEAR! 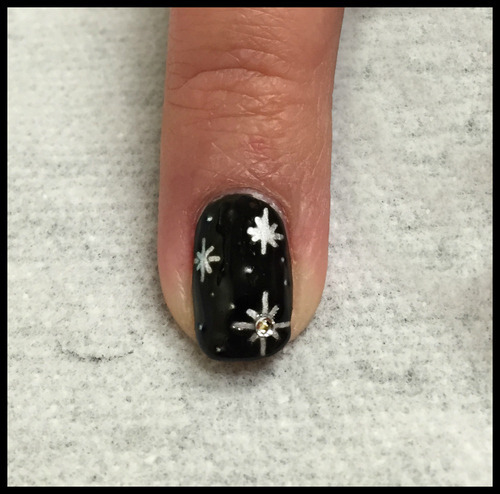 Add some shimmer to your 2015 with this cute nail design created by Jennifer Hanson (student from La’ James International College – Cedar Rapids). Step 1: Begin with a clean, blank nail. 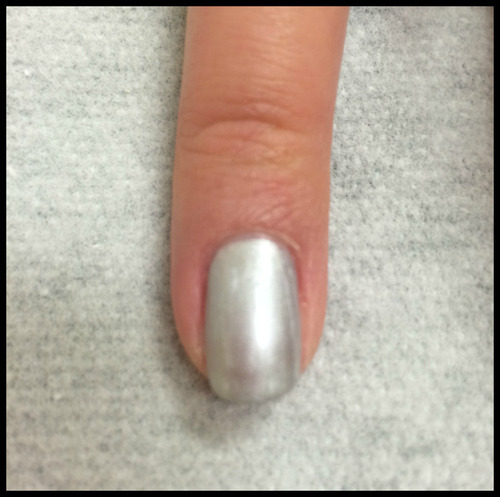 Step 2: Apply 2 coats of a silver polish. We chose CND Chrome Vinylux. Allow the nail to completely dry. 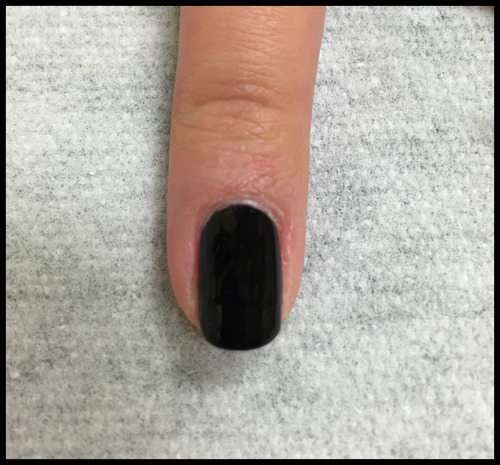 Step 3: Once the silver polish has dried completely, apply 1 thin layer of black polish. The color we chose was CND Black Pool Vinylux. Let the color set for at least 60 seconds. 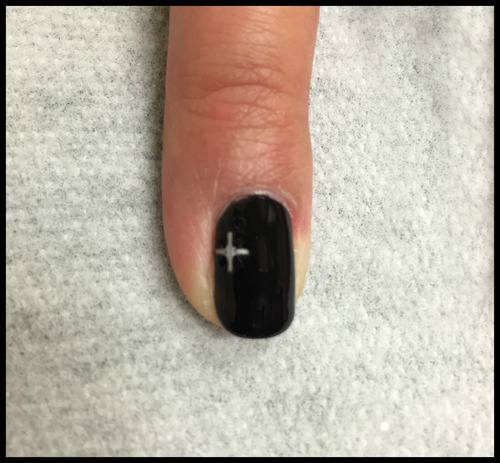 Step 4: Using a petite dotting tool, etch a plus sign revealing the silver polish underneath. Step 5: Next, etch an “X” through the center of your plus sign to form a twinkling star. Step 6: Repeat steps 4 & 5 creating randomly placed stars. Etching must be done before the black polish dries, so remember to move rather quickly. 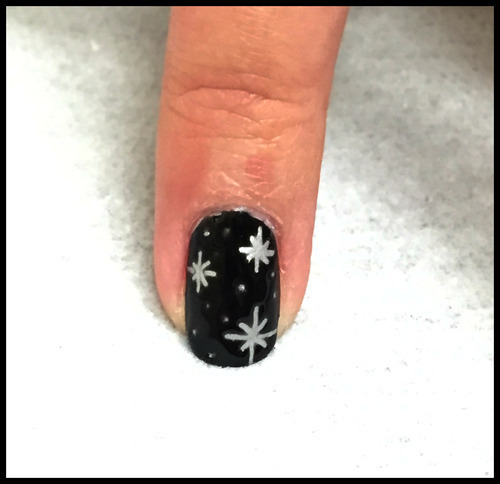 Step 7: With your dotting tool, add small dots in between the twinkling stars. Once all your etching is done, allow the nail to completely dry. 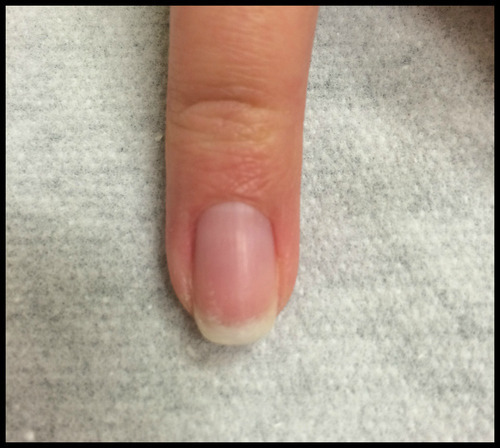 Step 8: Apply a thin layer of top coat. We went with the CND Vinylux Top Coat. 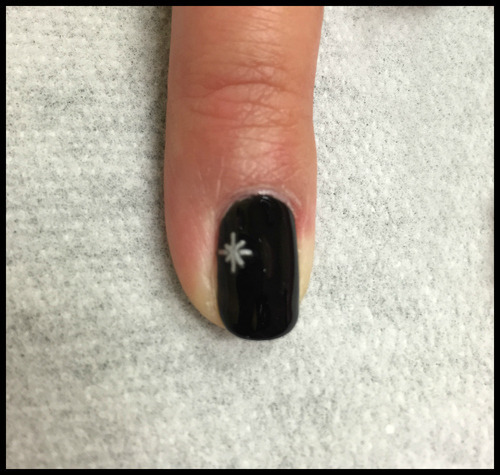 To add a little extra shimmer, place a rhinestone in the center of one star. 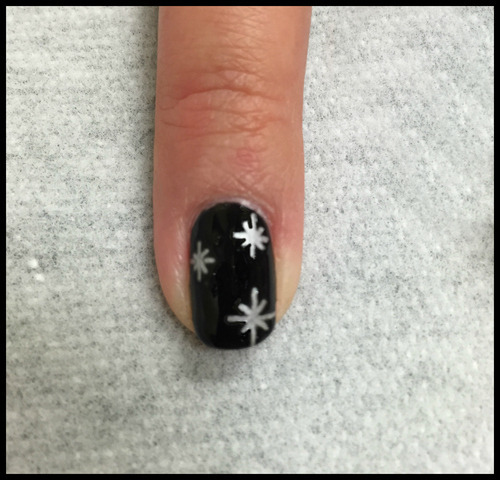 These nails are sure to grab all the attention during your New Year festivities! Have fun! Are you interested in learning more about Nail Technology & Cosmetology? Visit www.LJIC.edu or give us a call at 888-880-2108 TODAY! Start Your Journey & Love Your Future!